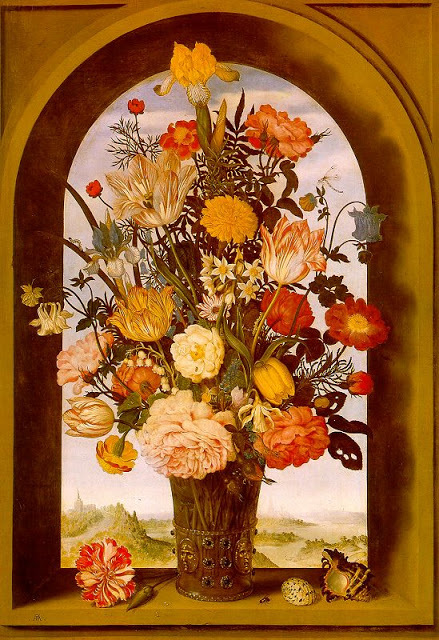 The inspiration for this month’s Art Bead Scene challenge is Vase with Flowers in a Window by Dutch artist, Ambrosius Bosschaert the Elder. Every time I look at Bosschaert’s still life, I’m reminded of my grandmother’s house, with its dark-paneled vestibule that smelled of aged wood and fragrant roses. A small table in the entry hall always held a vase like the one in Bosschaert’s painting, overflowing with flowers from her garden. Each August, we set out from Kentucky to her house in Scranton for a week that included mouth-watering pies made from the cherries we picked from her trees, glasses of sarsaparilla from dark bottles kept ice cold in her cellar, and cozy talks on her front porch glider. Great memories! My focal for this month’s challenge piece is by California artist, Erin McAlister, and features the mustard yellows, warm browns and red-oranges of the painting. Erin handcrafts each glass bead with sand and donates a portion of all her sales to the Surfrider Foundation to protect oceans and beaches. The central section of the neckstrap combines peach-toned seed beads with carnelian teardrops in brown, maroon, deep oranges, peach and cream. 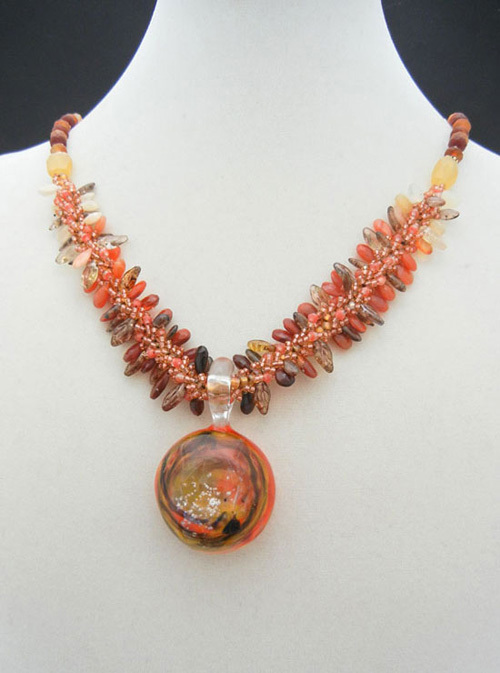 Firepolish beads and Czech glass give additional texture. This was my first attempt at freeform spiral stitch, which can be found in Carol Cypher's Mastering Beadwork. It was great fun to experiment with, and the perfect stitch to convey the lush, opulent feel of Bosschaert’s flowers! The neckstrap is finished with calcite chunks and carnelian agate roundels. Many thanks to Art Bead Scene's editors for choosing such a fabulous work of art to inspire us this month. You'll want to click over to the ABS Flickr group to see all the entries! Totally gorgeous. 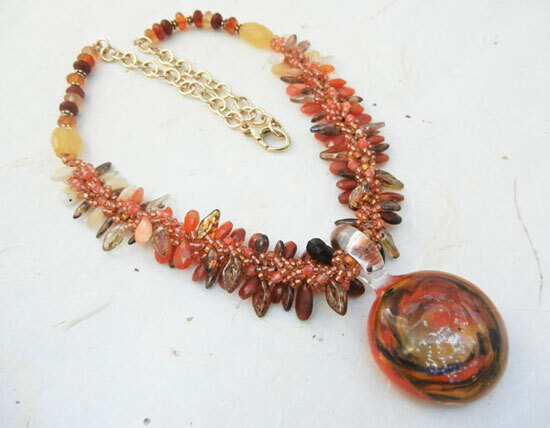 Love the carnelian and seed beads together and that fab pendant. You created a gorgeous necklace. The design and colors are wonderful. What a lovely, lush necklace - it just begs to be touched! I love the peaches, and that is a color I almost NEVER work with. Stunning! We missed you last weekend! HAve a great Holiday weekend! 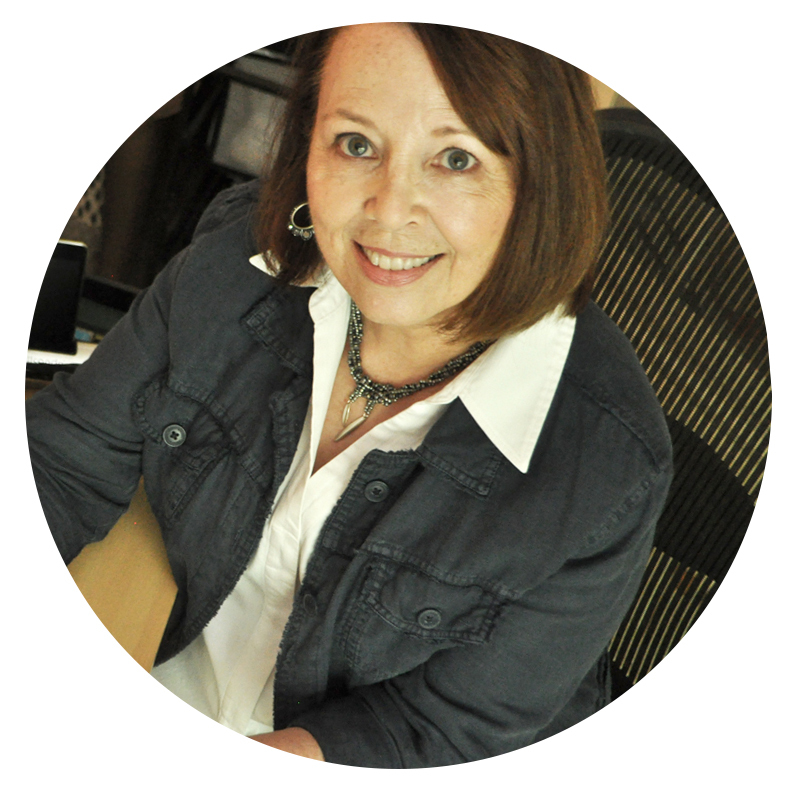 Congratulations on being a Bead Soup winner! The bead work on your necklace is stunning - a beauty.